It feels great to look one of your fears in the face, and dance at it. That’s exactly what I did over the summer: I had a fear of swallowing pills, and recently conquered it. After that, I stopped taking pills altogether about two years ago. For every headache or fever, I waited as long as I possibly could stand. One very happy day in the drug store, I rediscovered a liquid form of acetaminophen designed for children, and started taking that instead. (Note: Purchasing lots of children’s anything does some pretty funny things to those automatic coupons you get from your drugstore.) The longer it had been since I last took a pill, the more anxious I became about the idea of taking one. Over time, I made it out to be this scary, impossible task. It’s sort of funny in retrospect: the image of myself running a less-than-3-ounce container of children’s liquid acetaminophen through the security line at the airport; the general fear of having a medical provider tell me that I’d have to take a prescription pill of any kind. Well, the latter fear happened: I needed to learn how to take a pill. I scoured the internet for alternate formulations, but decided that I just had to figure this fear out and face it. I am a pretty analytic-oriented person, and before getting my prescription filled, I did a lot of research: information on exactly how big the pill I was taking was (16 mm); how wide one’s esophagus is (approximately 1”); what the likelihood is of a pill getting aspirated (super, exceedingly rare). I also read up on methods for swallowing pills and to this end, Go Ask Alice! does a phenomenal job of presenting tips. The day I got my prescription filled, I took one pill out, and just stared at it. I started to get really nervous all of a sudden – sort of like how I felt before a piano recital as a kid. The internet taught me that if you’re nervous about taking pills, you should do whatever typically relaxes you first. So, I searched for “Chopin” in my music library. (In retrospect, this could have had the danger of reminding me of my piano recitals and making me more nervous, but it ended up working out.) I thought to myself: this pill is so much smaller than I am, and I know how to swallow it, and plus, I swallow food—some of which has GOT to be bigger than this pill—without trouble every day of my life. So, with Chopin playing in the background, I put that pill on my tongue, took a swig of carbonated water, and downed it. I felt totally awesome. I danced around and made up some ridiculous lyrics to go along with a Chopin Polonaise. Relax: Do things that make you feel relaxed before taking a pill. Take a deep breath, listen to some calming music, go outside, meditate, do yoga – whatever works for you. Addressing fear: Psych yourself IN to taking pills. Barring some rare medical issues, most people can take pills with no problem. I found it really helpful to think about the scientific certainties of nothing bad happening. If the fear is very severe, it may be worthwhile to talk to a counselor about your fear to develop a method of addressing the fear. Helpful Logistics: Take your pill with a cool drink. Cool carbonated drinks are especially helpful since they help the pill float up while you’re swallowing it. 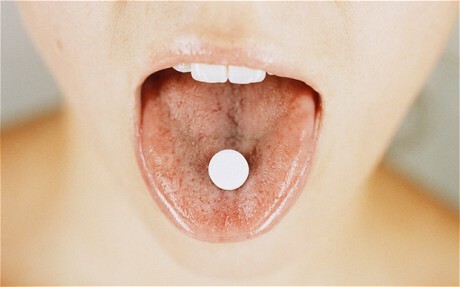 Try different approaches: There are some different approaches to taking pills, such as putting the pill on the tip of your tongue, taking some water and tilting your head back and swallowing; or putting the pill on the back of your tongue, taking some water and tilting your head forward and swallowing. Dancing may help: Though research is limited on the subject, I personally found it helpful to dance around after swallowing a pill. I hope that this post is helpful to the many people that have difficulty swallowing pills. But, more broadly, I hope that this possibly trivial personal experience says something about the power of conquering your fears. Who knows – maybe my next blog post will be all about conquering my fear of heights, though only time will tell.